There are no comments for 1786 Bocage Map Of Corinthia Sicyonia And Achaia In Ancient Greece. Click here to post the first comment. 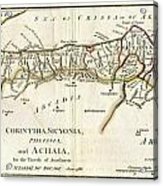 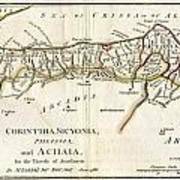 This lovely little map of Corinthia, Sicyonia and Achaia, in northern Peloponnesus of Ancient Greece, was prepared by M. Barbie de Bocage in 1786 for the “Travels of Anarcharsis”. 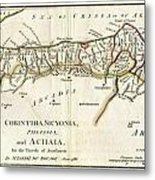 Taken from the early D’Anville map.